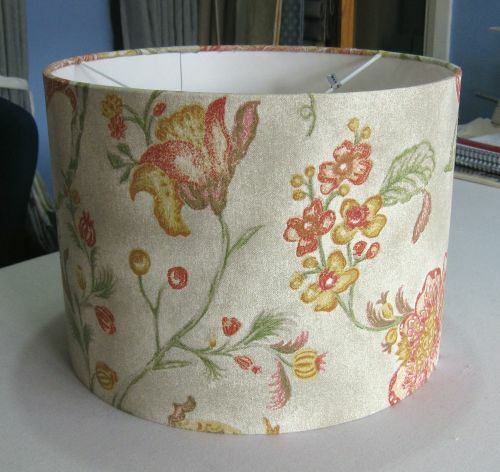 This was made in a customer’s own fabric. 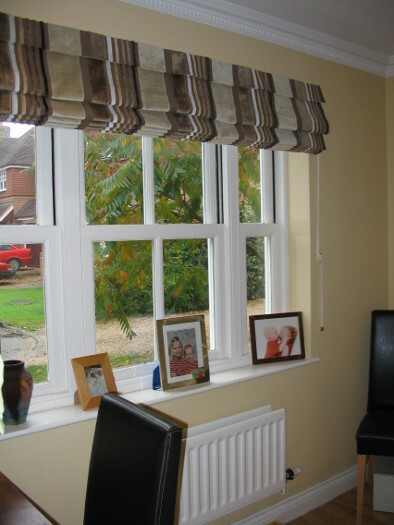 The window was nearly 300cm wide so the blind is mounted on a rotary track to make it easy to operate. 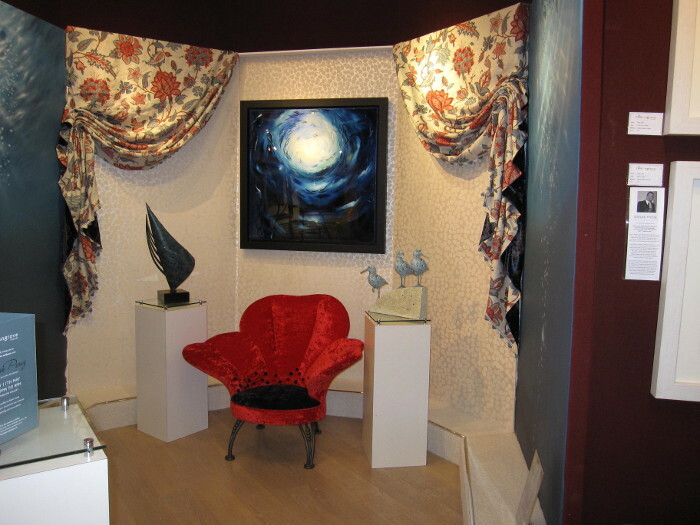 The exhibition was in an art gallery to show how art can be used in interior design. 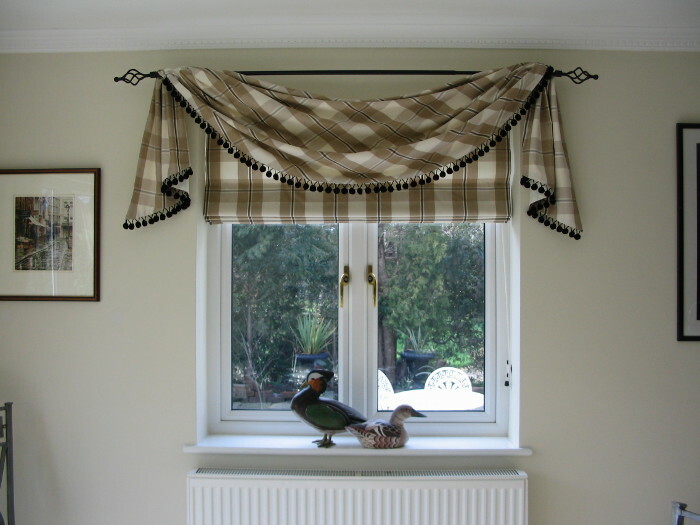 A grampol swag is a mixture of swag and curtain. 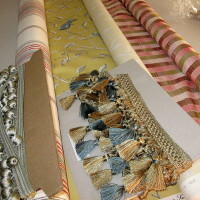 These were all used to make interlined roman blinds for a barn conversion project. 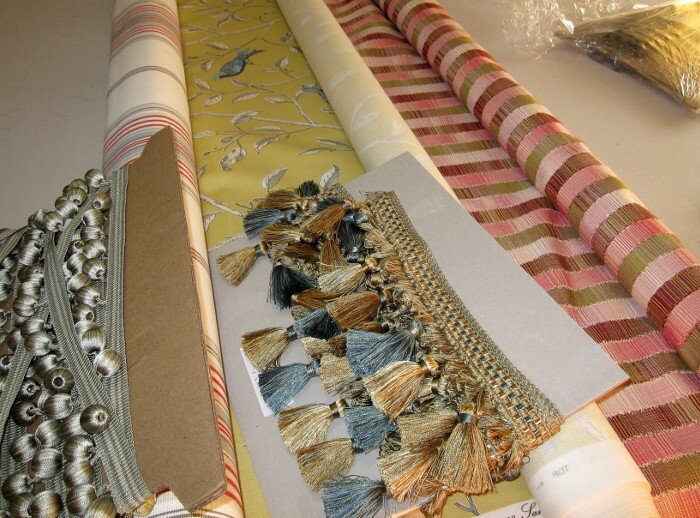 Double pleats can look more contemporary than triple. 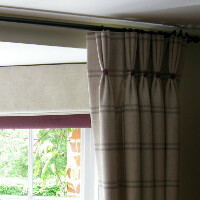 These full length curtains hang in the three-sided bay window of a restful master bedroom. 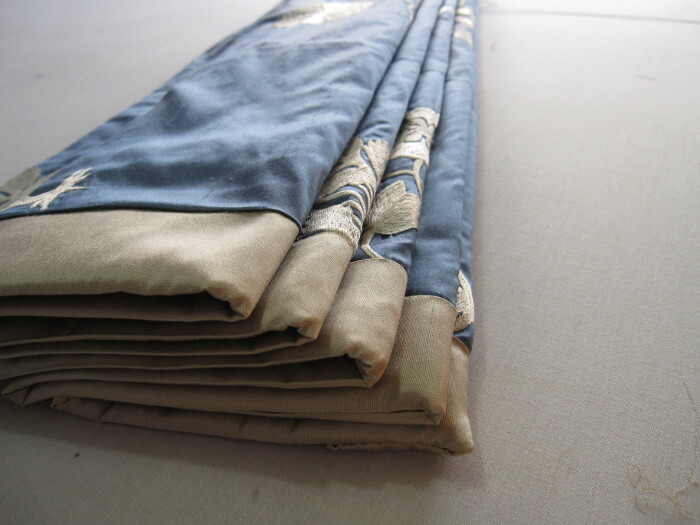 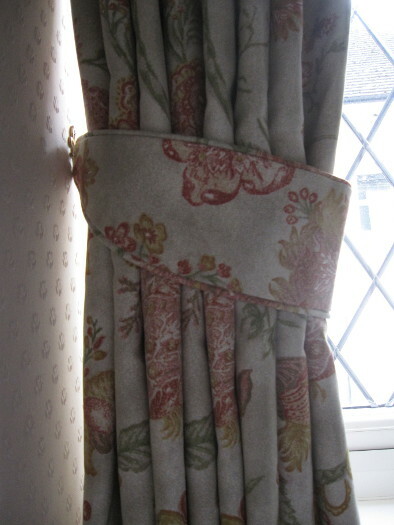 The contrast side borders on this blind matched the embroidery on the main fabric perfectly. 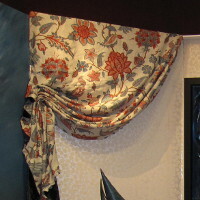 They also toned with the wallpaper and hand-painted furniture in the room. 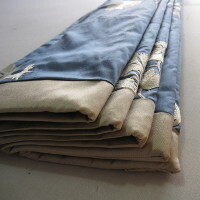 These can be made in a variety of shapes and sizes and need little fabric to add that finishing touch to a room. 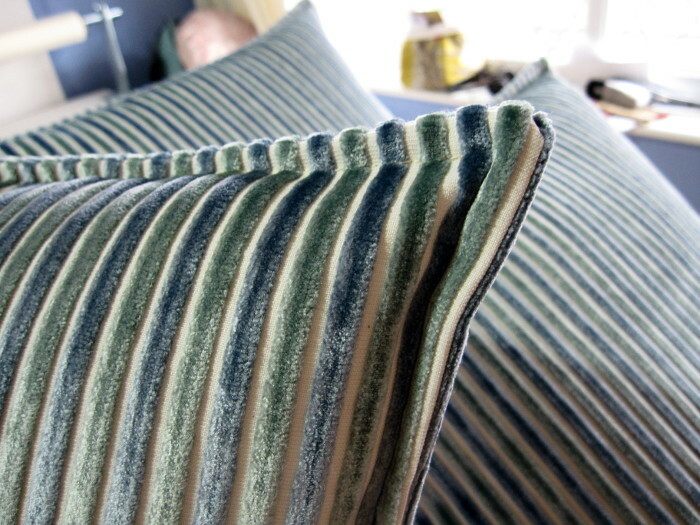 This tieback is self-piped but contrast piping or trim can be used to add definition to a scheme. 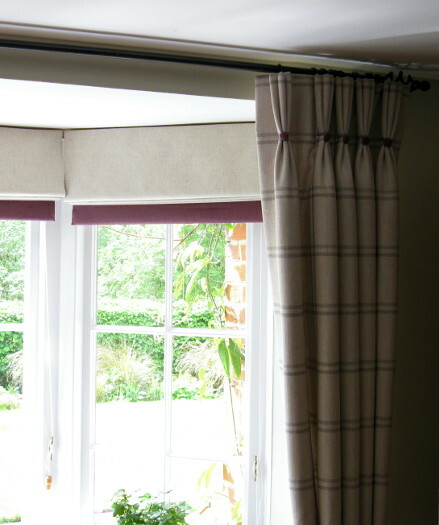 The curtains and pelmet in this guest room were made from the lighter striped fabric on the left. 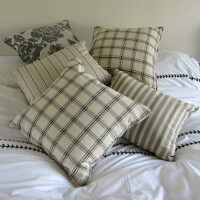 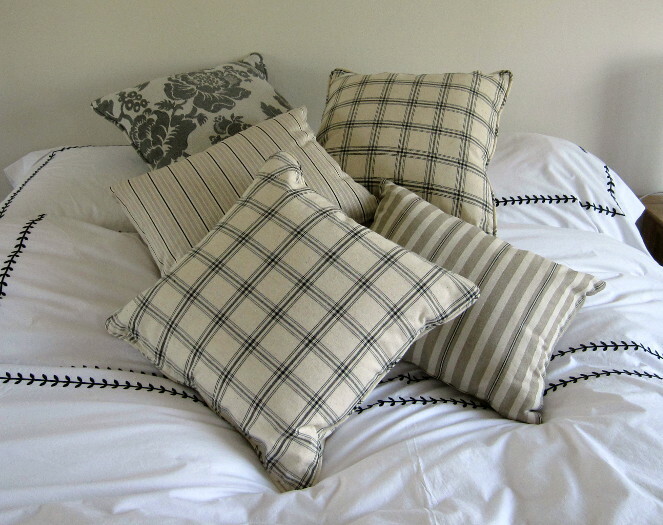 This cushion collection used the customer’s other favourites from the same supplier. 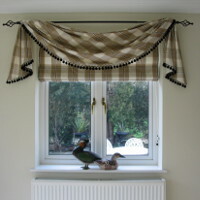 This dining room window had a roman blind for privacy in the evening. 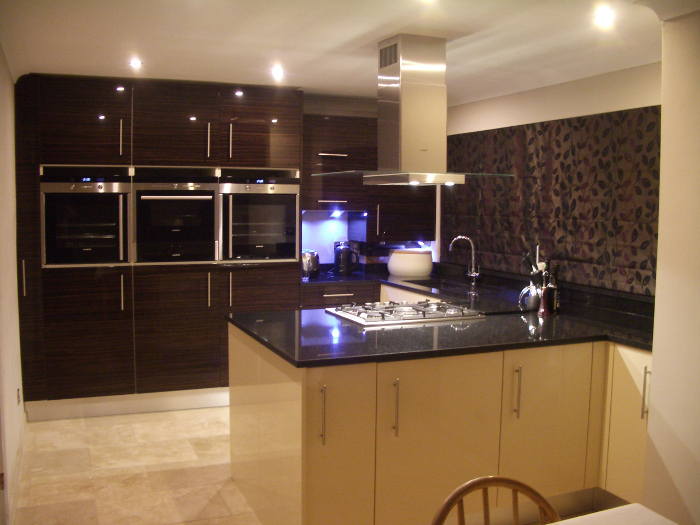 The pole swag softened the look while the pole matched the customer’s metal dining furniture. 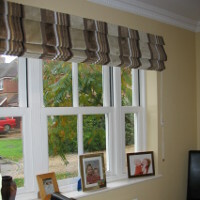 Vertical stripes always look smart on a roman blind. 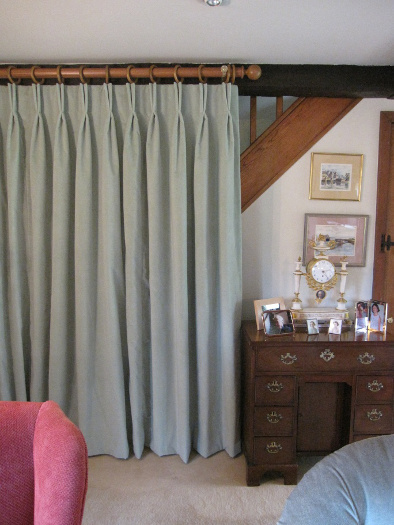 This one has a narrow matching pelmet which is simply attached to the same fittings as the blind itself. 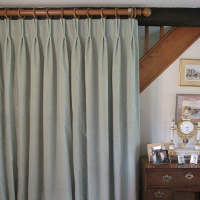 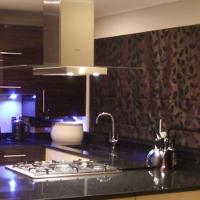 This curtain is set at the bottom of a staircase to help keep the room warm on chilly evenings. 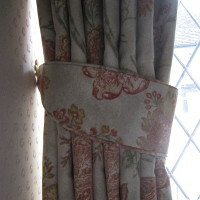 The other windows in the room had matching dress curtains with contrasting roman blinds to close at night. 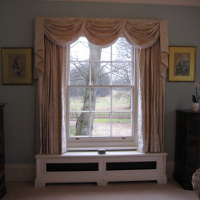 This traditional guest bedroom had a large front aspect bay window and this sash window to one side. 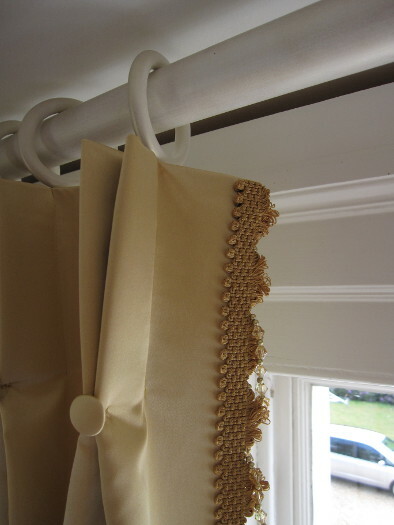 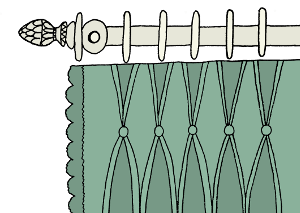 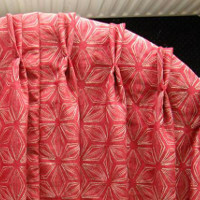 Both were dressed with swags and tails, as well as curtains with a beaded trim to the leading edge. 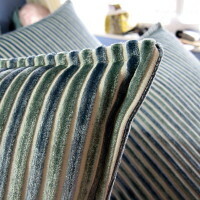 These cushions are made from a velvet from Swaffer. They have a narrow stitched border to add definition to the cover. 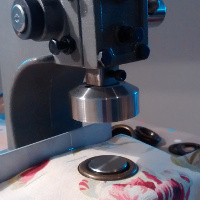 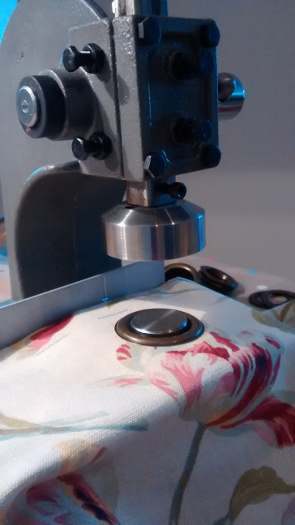 I have a professional press to add metal eyelets to the heading of curtains, these were in antique brass finish. 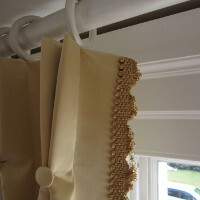 These dress curtains soften the bay window, while the working roman blinds are made with a contrasting border which is displayed even when they are raised. 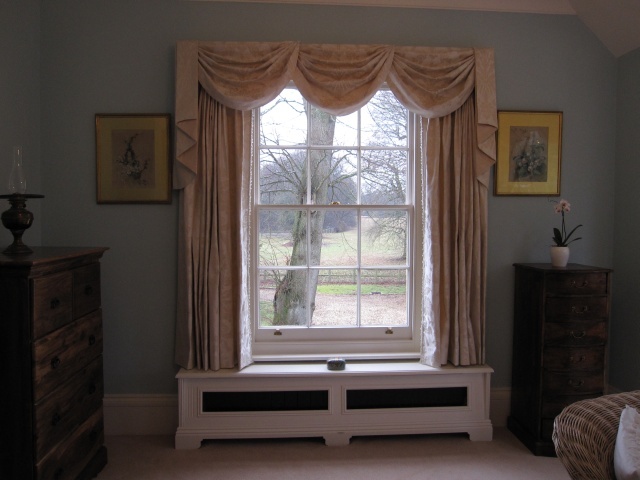 By making a custom fitting the shape of arched windows can be shown off while still being able to close the curtains as required.